TAMPA, Fla. (November 12, 2018) – On the cusp of their potential advancement to the Premier League, the UK’s most prestigious soccer league, the Canaries of Norwich City Football Club arrive November 12 for their first warm-weather training session in Florida beneath the blue skies and sunshine of Tampa Bay. 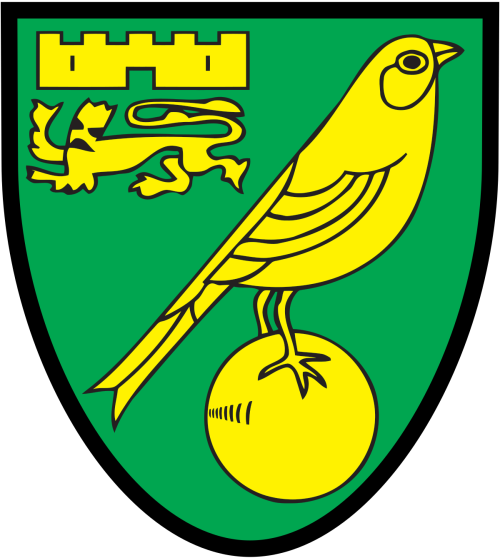 The Canaries, who are currently leading the Championship League, will trade their home pitch on Carrow Road for Tampa Bay’s Al Lang Field from November 12 to 17, as they soak up the sun in the hip, urban heart of Florida’s west coast. The team will bring along a cheering section of supporters and family members who will also discover everything Tampa Bay has to offer visitors. The UK is Tampa Bay’s second-largest international market. Visit Tampa Bay is a team sponsor. 5:45-6:45 p.m., November 12, arrival at Tampa International Airport between the shuttle entrances to Airside E and Airside F on Level 3 of the Main Terminal. Park in the Short Term Garage. PR Contact: Emily Nipps, (813) 520-7793. 10 a.m.-Noon, November 15, open training at Al Lang Field, 230 1st Street South, St. Petersburg. On-site contact: Nico Castillo, (813) 527-1376. 6-6:45 p.m. November 15, team visit with patients at Florida Hospital Tampa, 3100 East Fletcher Avenue, Tampa. Enter through the Women’s Health Pavilion off Bruce B. Downs Boulevard and park in the nearby lot. All visitors must have government-issued ID. On-site contact: Jennifer Bradley, (847) 280-1740. To RSVP for any of these media events, please contact Kevin Wiatrowski at Visit Tampa Bay: kwiatrowski@visittampabay.com or (813) 218-3894.